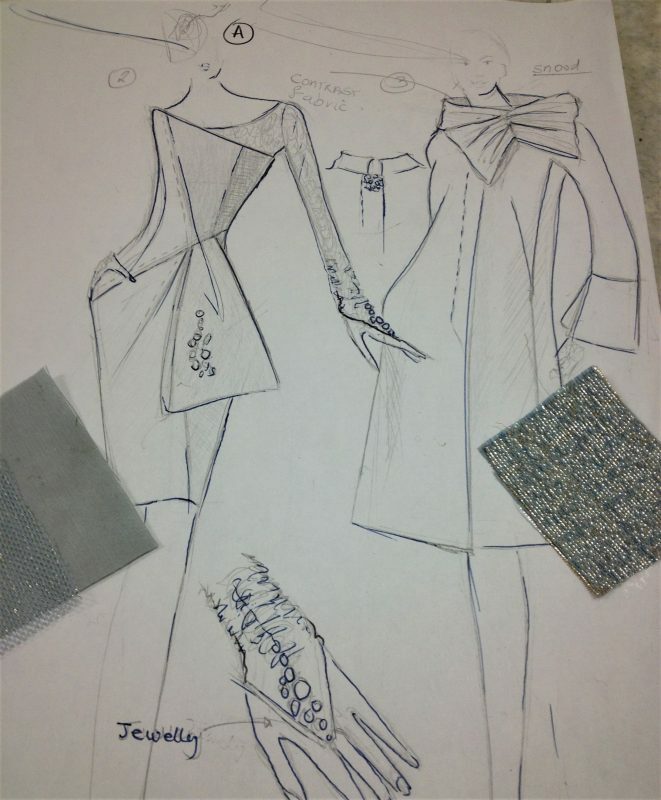 I enjoy designing a well-cut fit dress, top, skirt, trousers or coats for my clients that are both chic, and timeless. A well-cut garment needs to be made in a good quality fabric which does not crease and is tailored to fit the customer’s figure and silhouette. It needs to be made in a style suitable the client’s specific body shape. So for those you want a well-tailored outfit, most of my designs are structured, sculpted and well-shaped with asymmetrical style lines, which work really well to enhance the figure. Indeed, there are as many women out there as there are body shapes, with no two women having the same shape. Very few women, in fact, are a standard size, and many women find it quite difficult to get an outfit to fit them correctly. In designing my collection, therefore, I keep these points in mind. The fashion predictions for 2018 collections which will hit our high streets will present strong spring/summer palettes. There will be wide range of energetic colours balanced by high pastel tones and a solid base of dark shades. For the autumn/winter, we will see ‘Shades of blue’ with its range proximity expanding from the coolest of cools to the deepest of depths. Icy blues giving the feelings of serenity to the darkest of blues and greys to produce a sense of aloofness. Counteracting the intense blues are shades Hazy bluish-grays add a soothing touch to modern style and light grey, all concluding in fluctuating emotions induced by tones and tints of the same family. Dark browns and pinks are also going to be included in great variety. Shapes and styles trends are pointing very much at our arms in 2018! We know that the last few seasons focus has been on our shoulders, but from next winter on, our attention will move on to sleeves. Sleeves will become pretty elaborate, with inserts of multiple materials and accessories, even slits and geometric construction. In creating my fashion collection, I adopt a flavour of forthcoming style-trends, in some cases by simply introducing an element in the overall design silhouette, or perhaps by including an accent of the style. I am careful to capture the overall look and feel without taking on the total look. I want my outfits to be in style and still retain a timeless look and feel. So balance is key in achieving this! I have captured this mix of colours for 2018 in my use of good solid base colours complemented with prints and secondary supporting colours. I have introduced the greys and elements of the pink tones which are included in predictions and incorporated additional chic and quirky sleeve details. Once again this year, I have sourced some very exclusive fabric lines for the 2018 collection which include coats weights, tops, dresses and trousers as well as innovative complementary prints styles with a mix of vibrant colours. I will mix and match prints to incorporate highlights and tonal effects to the garments. I have also fabrics with oiled finishes in medium weight wools which work well along side base fabrics and prints. As a leading ladies fashion designer in Ireland, I know what my clients expect for 2018.